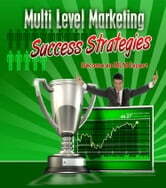 Multi Level marketing is responsible for generating over $100 billion in sales every year and you can be part of that action starting today! There are probably over 100,000 MLM companies today, including some that have become household brand names such as Avon, Amway, Mary Kay, Herbalite, and many others. Those who know what they are doing in the MLM marketing industry are often able to find financial freedom with residual income month after month. They become successful and reap the benefits of their hard work into retirement after developing their MLM team. 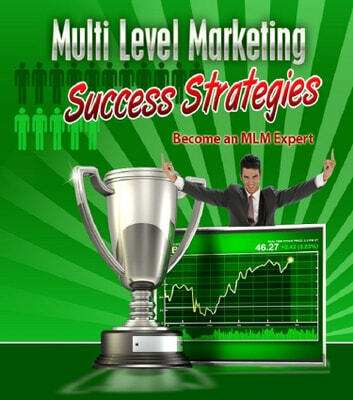 The Multi Level Marketing Success Strategies eBook Can Show You How It's Done Correctly So That You Reap Profitability in MLM. - Strategies on building an effective team to maximize your profitability with discussion about upline, downline, sidelines, etc.